Chiwenga to oversee negotiation with striking doctors - Merry Xmas VP, you filthy animal! 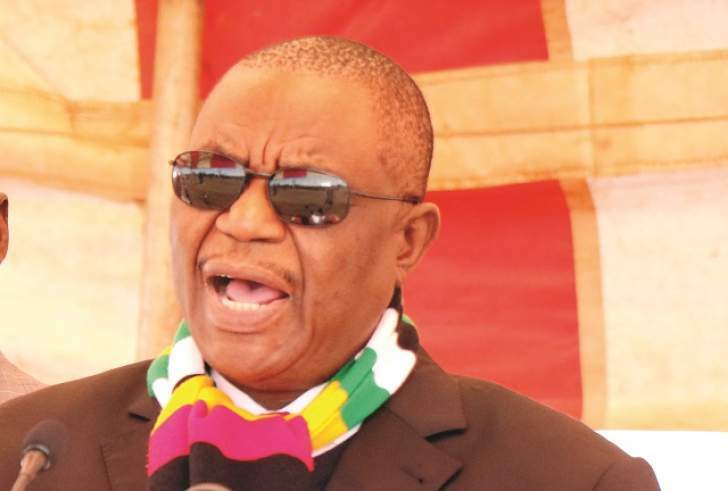 "Vice President Constantino Guvheya Nyikadzino Chiwenga has taken over the oversight role on the negotiations between government and striking doctors," reported Bulawayo24. Most people would remember the bully-boy tactics Chiwenga used earlier this year to end the nurses' strike - he fired the lot! He accused the opposition of being behind the strike and, as we all know, once Zanu PF has given you the opposition supporter tag you are "meat for vultures!" (Nyama yamagoro! ), as one would say in Shona. The junior doctors will probably be spared the MDC tag, for now, but will go away with little else. They will never ever be paid a living wage by this Zanu PF government not as long as the economic meltdown continues to get worse which is exactly what is happening. There is no hope of any meaningful economic recovery whilst the country remains a pariah state rule by corrupt and vote rigging thugs. None! It is not so much that government is broke; but that it is broke because corruption is rampant, amongst other reasons. A year ago Mnangagwa promised to end corruption, "there will be zero tolerance on corruption", he said. Zimbabwe was "swindled $15 billion in diamond revenue" Mugabe admitted in 2016; confirming that corruption is indeed Zimbabwe's greatest challenge! And yet, surprisingly after a whole year in power, Mnangagwa has failed to arrest even one of these diamond swindlers. We know the mining has continued and so has the looting. It is not that the nation does not those who have been robbing the nations blind; everyone knows them from their amassed wealth. VP Chiwenga has his C&M mansion, 45 gold watches, fleet of posh cars, farms, houses, business interests, etc.! It was not all paid for from his ZDF Commander's salary, that is obvious. President Mnangagwa is himself believed to be one of the richest individuals in Zimbabwe. He was one of the senior Zimbabwe leaders accused by the UN of looting DRC diamonds and gold. He has maintained a stone faced silence over the matter; the same stone faced silence that he has kept when confronted with evidence of his Gukurahundi murders. What most Zimbabweans, these striking junior doctors, nurses and teachers amongst them, have failed to appreciate is that Zimbabwe's economic recovery will never ever happen as long as the country remains a pariah state ruled by corrupt and vote rigging thugs. In other words these junior doctors should have been out demanding that the implementation of the democratic reforms to ensure the recent elections were free, fair and credible. Now that we know Zanu PF blatantly rigged the 30 July 2018 elections; the junior doctors should not be demanding "a living wage and better conditions of services". What is the point of asking for something that will never come; we have just forfeited all hope for meaningful economic recovery. Instead, they should be demanding that Zanu PF step down. For the last 38 years the majority of Zimbabweans have failed to see this political and economic linkage, the few who did have ignored it, and the nation has paid dearly for it. The country is in this mess of economic meltdown and dysfunctional political system because for 38 years the nation has been stuck with a corrupt and tyrannical regime that rigged elections to stay in power. Indeed, the economic meltdown is now so bad it has pushed unemployment to the nauseating height of 90%, most basic services such as health care and supply of clean running water have all but collapsed, etc. 75% of the country's population now live on US$1.00 or less a day! There is a limit to how much more of these economic hardships the people of Zimbabwe can take. We should be taking steps right now to stop Zimbabwe's worsening economic meltdown and not test providence by pushing the people's economic hardship endurance to its limit. If we wait for the people's bottled anger to finally burst, it will unleash a tsunami that will sweep away the Zanu PF dictatorship, but a lot more beside! Zimbabwe is now standing right up on the very edge of the precipitous abyss. It is important that the nation stop dead and slowly move back. VP Chiwenga and his fellow Zanu PF thugs are the root cause of the nation's economic and political mess; whether they care to admit it or not, that is academic. What is of immediate concern, is that they step down; they rigged the recent elections and so they have no mandate to govern. They continued stay in power will only mean the economic meltdown will get worse and thus push the nation over the edge into the abyss. Besides, even if the people were to bite their lower lip and endure the worsening economic meltdown as stoically as they can for the next five years; there is no reason to believe their suffering will end then. If Zanu PF is still in power in 2023, we can be 100% certain the regime will rig those elections just as readily as it rigged this year's elections. Zimbabweans have allowed Zanu PF rig elections and to stay in power in the hope that next time the regime will, out of some Damascene transformative experience, keep its promise to hold free, fair and credible elections. This has gone on for the last 38 years and Zanu PF has blatantly rigged the elections time and time again. After all these years of being disappointed, it is insane to try this futile course of action one more day especially with the nation's very survival now at stake. So, if these junior doctors had their thinking caps on, the only demand they would be asking of VP Chiwenga is for him and his fellow Zanu PF junta to step own. There is as much hope of Junior Doctors getting Zanu PF to step down as turkeys getting a Christmas break! The junior doctors will probably be offered a 20% pay rise (to match what the Army got a few month ago) on their current pay of $384 per month! Paid in Bond Notes and not the US$ the doctors are demanding. Government will pretend the Bond Notes have held their value against the US$ at the official exchange rate of 1:1. We all know in the real world the exchange rate swung from 3:1 to as high as 10:1 to the US$. In other words the junior doctors wages have dropped from US$ 384.00 to US$ 128.00 and then US$ 38.40 a month. The 20% increase will take their wages to US$153.60 and $46.08! At the height of the 2008 hyperinflation, junior doctors wages shrunk way below US$1.00 a month! Everyone knows those 500 billion per cent inflation rates and empty shop shelves days are here already, we have not yet hit the high notes but will do so soon enough! No wonder the regime wants a ruthless enforcer like VP Chiwenga overseeing the salary negotiations; the junior doctors will remember what happened to the striking nurses and take their huge and bitter wage cut pill without further ado - orally or otherwise. "Merry Christmas VP Chiwenga! You filthy animal!" He will not hear the latter; only flies with their ears to the ground will hear it!